Salvatore Volpe, MD FAAP FACP CHCQM has 20 years of a primary care medical practice experience. He is one of the few physicians in the country to have achieved board certification in Pediatrics, Internal Medicine, Geriatrics and Quality Assurance. Dr. Volpe’s expertise on the topic of emerging medical communication technologies (ie. Consumer Health software, e-Prescribing, Electronic Health Records, Patient Centered Medical Home, Physician-Patient Communication and Smartphones) has made him a prominent speaker on the national medical lecture circuit. His blogs and podcasts are often referenced by the media and his peers. Dr. Volpe has served as a medical director or associate medical director for several national and regional Managed Care Organizations. He is member of the Board of Directors of Medical Liability Mutual Insurance Company. 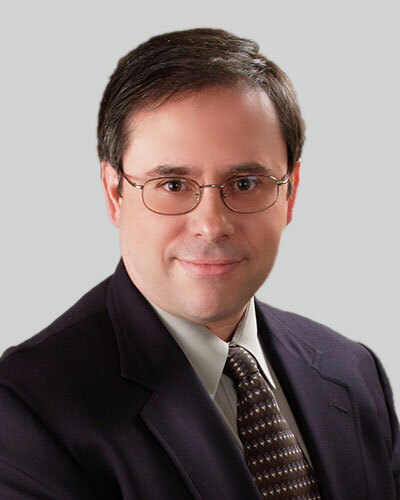 Highly regarded for his expertise on the topic of electronic health records, Dr. Volpe has been frequently quoted in the national media i.e., Crain’s NY Business, Good Morning America, Medical Economics Magazine and Time Warner NY 1. Dr. Volpe currently serves on the medical editorial board of Medical Economics Magazine. His commitment to advancing the quality of health care with medical communication technology extends to his many demanding volunteer positions as a member of the AMA Health Information Technology Advisory Panel, as Chairman of the NYS Medical Society HIT committee, 2009-2011 President of the New York Chapter of the Healthcare Information and Management Systems Society (HIMSS) and Co-Chairman of the Richmond County Medical Society HIT Committee. Dr. Volpe is the recipient of the 2007 IPRO Quality Award. IPRO is a national organization providing a full spectrum of healthcare assessment and improvement services that foster more efficient use of resources and enhance healthcare quality to achieve better patient outcomes. The award was presented in recognition of his commitment to improving care for Medicare beneficiaries, as reflected in the work he has done to create a patient-focused environment within his practice, and his work as a physician champion in promoting the use of electronic health records and health information technology for quality improvement. In 2009, Dr. Volpe’s medical practice became the first solo practice in the state of NY to achieve Level 3 NCQA Patient Centered Medical Home Recognition. The Patient Centered Medical Home is a health care setting that facilitates partnerships between individual patients, and their personal physicians, and, when appropriate, the patient’s family. Care is facilitated by registries, information technology, health information exchange and other communication tools to assure that patients get the indicated care when and where they need it, and want it, in a culturally and linguistically appropriate manner. In 2010, HIMSS (Health Information and Management Systems Society) recognized Dr. Volpe as the Chapter Leader of the Year. The Chapter Leader of the Year Award is a tribute to those individuals who demonstrate significant leadership, as well as extraordinary volunteer contributions, to HIMSS Chapters, the Society and the HIT industry as a whole. Dr. Volpe currently serves as the Physician Liaison and Clinical Champion for the NYC DOH Primary Care Information Project and NYC REACH (Regional Extension Center).